Set SMART Goals This Year! The beginning of a new school year is a great time to set goals for yourself or your class. Unfortunately, too many educators set goals that end up being pushed aside after the hustle and bustle of the new year takes full stride. You will be more likely to accomplish your objective if you remember to be SMART about your goal setting. Specific goals are more likely to be achieved than general goals. Specific goals state exactly what will be achieved when the goal is accomplished. Specific goals will answer the questions Who, What, Where, When, and How. Goals should have a Measurable component to allow for progress tracking. For example, if you are setting out to improve your students’ overall classroom average, make your goal to improve by a specific percentage or to reach a specific GPA. A new goal should be realistic. An Attainable goal is one that is challenging, but not so far out of reach that accomplishing the goal will take an exorbitant amount of effort. You should be able to lay out exactly how you will be able to accomplish your goal when it is set. When setting your goals be sure that they are Relevant to your long-term plans and current role in your school’s education system. For instructors this is especially important as you set goals for your class – you should ensure your short-term goals are in line with your goals for the semester and school year. Finally, all goals should be Time-bound, or include a time frame in which the goal should be achieved. By the end of the semester or school year is an excellent time frame for educators and students. 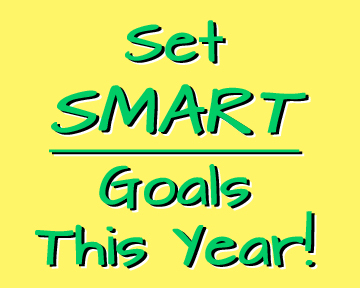 What are your SMART goals for the 2013-14 school year? Posted in Professional Development, Resources	| Tagged Back to School, Goal Setting, Goals, professional development, teachers	| Be the first to comment!